MGTRI – Mommy Gina Tuna Resources, Inc.
Mommy Gina Tuna Resources, Incorporated or MGTR, Inc., is a leading global player in the sustainable and responsible sourcing, processing and distribution of high-quality tuna and fishery products. 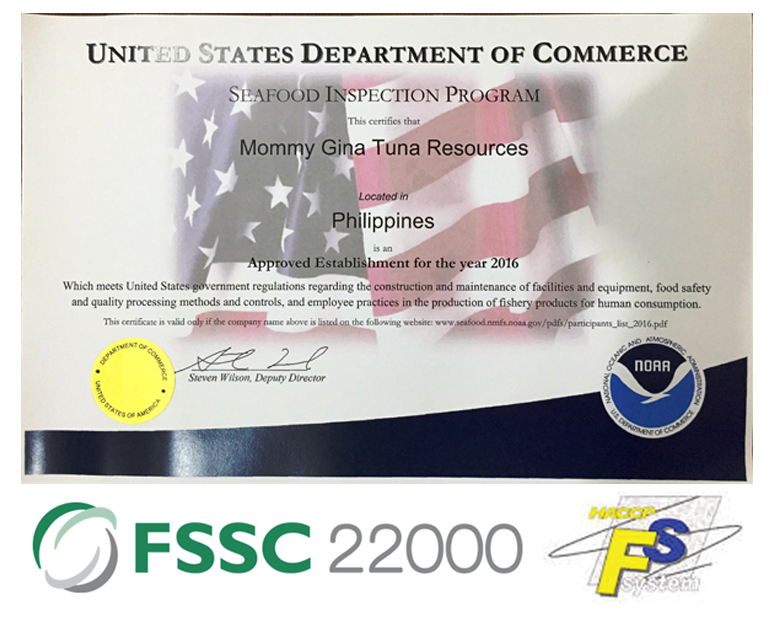 Mommy Gina Tuna Resources (MGTR) was created in 1983 as a single proprietorship engaged in deep sea fishing. In 1991 MGTR started exporting fresh chilled & gutted tuna to Japan, and later, headless & gutted tuna to the United States. By 1995, the Company ventured into processing of whole round skipjack, frigate tuna, and round scad. This was shortly followed by the production of CO-treated tuna loins, saku, steak, pieces and ground meat. In the decade 2000, the fishing, manufacturing, and marketing businesses were rationalized and re-organized. The pioneering enterprise MGTR became Mommy Gina Tuna Resources, Inc. (MGTRI) in 2006. Today, MGTRI is a major supplier of wild handline-caught, high quality CO-treated tuna products from the Philippines. The leading player in the global marketplace of competitive quality tuna, other fishery products and services. As the leading global player, we are committed in the sustainable and responsible production of competitive quality tuna, other fishery products and services.